Kind of like a small school. An early evening private ceremony. I guess I wasn’t the Valedictorian, so there was no speech in front of my class mates. Not seeing them… that part, I really missed. Plus I didn’t get my grades. There was definitely the sense that I wasn’t the right fit for the grad school there. Perhaps the rest of the school wasn’t surprised. I don’t know, we’ll wait to hear. While it came as a “Surprise!”, it wasn’t Surprising. There’s a world of difference between those two. It wasn’t surprising… my work, meaning the big job and the heavy lifting, really was done… really. But I wasn’t paying attention to the progress and the need and the shifts… that was the difference. It was just time to matriculate to “the next big thing” in life. Question: Why didn’t I see that? Question: Why don’t most of us see it? It is just too often, too easy – out of desire for our own comfort and convenience – to “stay too long at the fair”. To miss the timing, the downbeat in life. To leave out the bridge in the song. To completely miss the moment and not act on the intuition that was right there. If only we just were listening… really paying attention, really reading the music. Listening to the whole band, to all the music surrounding us. Not just the notes in our head. Awareness of the possibilities held in each moment. Leaving us unprepared to act on the ‘what might happen’. That, and our unwillingness to be constantly choosing what we want life to be and how we want to look at it. That took me two days. 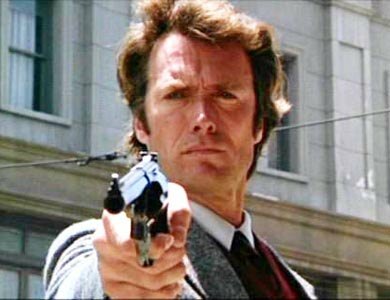 The reason there’s power when Dirty Harry says: “Go ahead, punk, make my day…” ? He’s never Surprised and nothing is Surprising.